Call 702-272-2233 to confirm current promotions and specials. Follow us on Facebook or Instagram for photos of our work. Classic Style - Lash Artists apply 1 silk or synthetic mink lash extension that is either 0.15 or 0.20 mm to 1 natural lash. 2D/3D Volume Style - Lash Artists apply 2-3 silk or synthetic mink lash extension that is 0.07 mm to 1 natural lash. 3D/5D Volume Style - Lash Artists apply 3-5 silk or synthetic mink lash extension that is 0.5 mm to 1 natural lash. Lashbox LA Mega Volume - Lash Artists apply 10-15 silk or synthetic mink lash extension that is 0.3 mm to 1 natural lash. 100% Real Mink Eyelash Extensions - 100% real mink lashes are flirty and elegant, yet soft and subtle. Real mink lashes typically provide a more natural and longer lasting look with better adhesion to natural lashes. However, they typically do not hold a curl as well as synthetic lashes and have some inconsistencies in thickness and length. We always attach extensions to approximately 95% of your natural lashes and do not charge extra for extra fullness at Kyou Beauty Salon. However, we care about maintaining the health and longevity of both your natural lashes and extensions. That being said, our lash artists will analyze the condition and length of your natural lashes and advise what look(s) can or cannot be achieved based on their analysis as opposed to providing you with a certain look at the sake of damaging your natural lashes. Completely remove your old extensions free of charge and apply a new full set at the special discounted prices noted above. If the lash artist / studio you went to applied the incorrect type of lash extensions (ones that are too heavy for your natural lashes) and leaving them on may cause damage or discomfort, we will need to completely remove them as opposed to simply filling them. When we do fills, we don't cut corners and simply fill in extensions where they are needed like many lash studios. Our lash artists will first remove the lashes that are too grown out or sitting incorrectly (flipped, twisted, etc. ), then, we will fill in what is needed. Fills for lashes done elsewhere are typically $65 for Classic and $75 for Volume Lashes but may be a bit more if you have less than 50% of your extensions remaining. Lash extensions, when applied correctly, should not be bothersome or uncomfortable! You are welcome to stop in or call to schedule a free consultation if you would like to come in and have our lash artist examine your lash extensions and discuss what the issue(s) with them may be. Since each lash extension is attached to a single eyelash, they will fall out naturally along with the natural growth cycle of each lash. Typically, each eye sheds 2 – 5 lashes per day so typically, people lose between 14 and 35 lashes per week. Since your eyes are shut the whole time lash extensions are being applied, no glue should get into your eye. To avoid any irritation, however, the first safety precaution you can take is to be sure that the glue is safe for your eyes and doesn’t contain anything that can harm them, like formaldehyde. If you experience any burning or discomfort during the procedure, you should certainly speak up. You may need to have your technician change the glue as there are sensitive glues. Getting lash extensions should be a completely pain-free experience. No. Your technician should be trained properly to apply the adhesive and lashes in a way that is harmless. Your eyes should remain closed the entire time of the procedure. No matter how bad an allergic reaction may get, you will never go blind. Although it is rare, the worst case scenario is that you need to go to the eye doctor to get specific eye drops to treat an allergic reaction. Keep water away from your lashes for at least 24 hours after application or touch-ups. Water can weaken the adhesive before it is set and cause lashes to fall off. We will provide you with after care instructions for you to take home. However, as a general rule, oil-based products or makeup removers around the eye area are not recommended. Also, using water-proof mascara on the extensions is not recommended for any type of glue, as it is hard to remove and can actually pull off the lashes prematurely when trying to take it off. 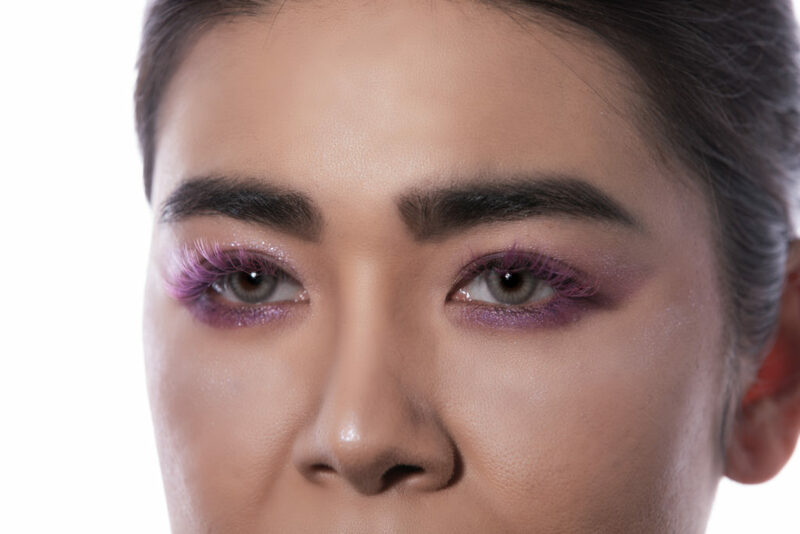 Finding an experienced and reputable lash artist and a salon that uses high quality materials is key! It is not worth damaging either your natural lashes or eyes to try and save a few dollars as it may end up costing you more to fix the damage done. 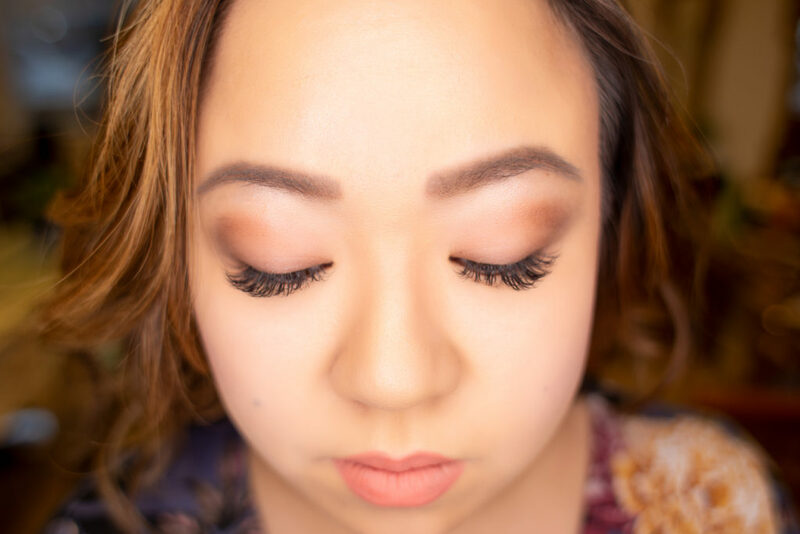 Our master lash artist has years of experience and we use only the highest quality formaldehyde free glue and fluffy, lightweight silk extensions that will not pull out your natural lashes!